Italy’s New Coalition, a Necessary Disruption? The outcome of Italy’s latest national elections made it very difficult to form a government. Finally, an ostensibly shocking breakthrough occurred: Lega (formerly the Northern League), which is labeled as a right-wing movement, and the Five Star Movement (M5S), labeled as populists, agreed to form a coalition and picked Giuseppe Conte, a law professor, as prime minister. Both parties are euroskeptic, with one of them being more on the socialist side. Their program calls for tax cuts, which would make sense as the Italian economy is hindered by an excessive tax burden. Tax reductions, of course, would cause a short-term decline in government revenue, but in the long haul they increase revenues by triggering economic growth. The coalition, however, also plans to spend heavily on a guaranteed minimum income scheme. This contravenes the growth-inducing plan. Such chronic excessive spending is the cause of the precarious financial condition of many European governments, especially in highly indebted countries like Italy. A concern exists in European capitals that the new government may now ask the European Central Bank (ECB) to cancel big parts of Italy’s 340 billion euro debt. This possibility is seen as a threat to the stability of the common currency. But let us look realistically at the situation, in a businesslike manner. Italy will never be able to repay this debt. It is rather amusing that Mr. Conti, the prime-minister-designate, is being criticized as having no political experience. Experienced politicians put Italy in these dire straits. It is hard to imagine that a newcomer could make matters any worse. 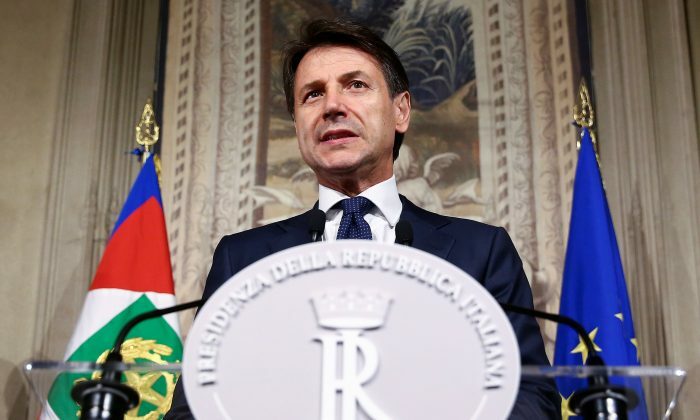 In an amusing last-minute twist, Italy’s President Sergio Mattarella refused to accept a nominee for the finance portfolio, and Mr. Conte initially gave up his bid to form a government. The prospect of a new election appalled the public, but it was soon comforted when the president accepted a Conte cabinet with a different finance minister. Regardless of how much sense or nonsense can be found in the new government’s program, Italy needed to shake up its usual political process to start changing the status quo. It may prove painful or even dangerous, but a disruption is its only chance for eventual improvement. The coalition may provide just this. Prince Michael of Liechtenstein is the chairman of trust company Industrie- und Finanzkontor Ets. as well as the founder and chairman of Geopolitical Intelligence Services. This article was first published by GIS Reports Online.